British vapers are furious after their government, usually one of the most supportive in the world when it comes to harm reduction, unveiled plans to tax vapour products to plug budget holes in the country’s health service. Meanwhile new comments by the FDA commissioner suggest the agency plans to rig the market in favour of pharma companies, and at the expense of the existing vape industry. 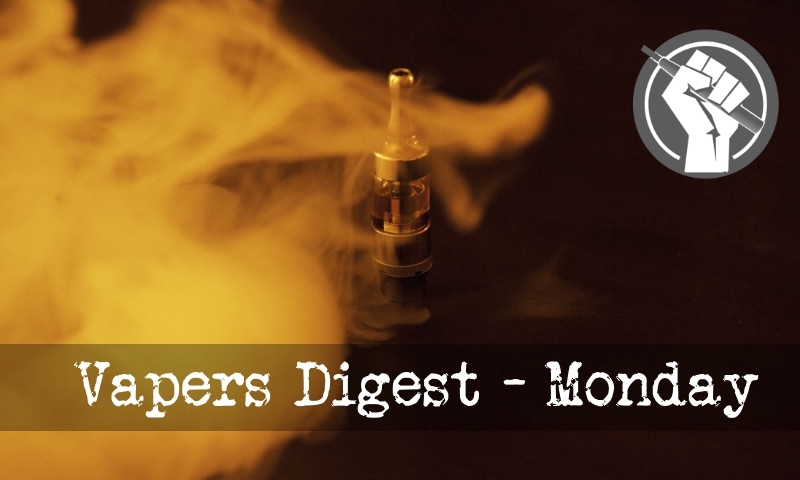 Around about this time last year, the FDA’s Scott Gottlieb made a public statement about e-cigs that many vapers thought was a new dawn in how reduced risk products would be treated in the US. You may remember that I thought it was just a cleverly-worded hill of beans…. Recently I had the honour of giving the Michael Russell Oration (click here to watch) at the Global Forum on Nicotine. This event was all about helping reduce the disease and death toll from smoking. Like many industries, the quit smoking one is ripe for disruption and new technologies are doing this. In most established industries, disruption is strongly resisted. The late Michael Russell first recognised that smokers came for the nicotine but were killed by a host of other chemicals released by the combustion of tobacco. Nicotine itself is not a carcinogen. The NNA was responding to media reports on Thursday quoting Whitehall sources as claiming that taxation of vaping products was being considered as part of the autumn Budget. Neal Berkowitz, Stanton Glantz’ anti-vape chum at the the University of California San Francisco (UCSF), has co-authored a report with Benjamin Chaffee (UCSF) and talked up the risk of oral cancer from vaping at an International Association for Dental Research event. Their presentation has been described as “misleading”, contradictory and that the evidence doesn’t support their conclusion. While the Aug. 10 deadline for nicotine warning labels on roll-your-own (RYO) tobacco, electronic cigarettes, e-vapor and hookah products seemed evident to retailers attending CSP’s Behind the Counter tobacco conference, many seemed surprised to discover that the U.S. Food and Drug Administration (FDA) deadline for such warning labels also applied to advertising they may have created for their stores and online. Johannesburg – The Vapour Products Association (VPA) of South Africa has warned the government that its new Tobacco Bill threatens to deprive millions of citizens of a safer alternative to smoking. This was revealed at a conference in Sandton this week, where scientists, policymakers and medical and public health professionals gathered to examine the latest scientific research and evidence on e-cigarettes and debate their impact. Chinese tobacco regulators are calling for comprehensive awareness and control on electronic cigarettes – an alternative to cigarettes which currently operates in a regulatory gray area under the country’s nationwide ban for public smoking, according to thepaper.cn. “We are currently calling for relevant departments to look into regulation for standardized control on e-cigarettes and prohibit its public use like tobacco,” says Zhang Jianshu, president of the Beijing Tobacco Control Association. Figures show only the Japanese and British spend more per capita on these products than us – while other countries in the Top 10 include Denmark, the US and Italy. The popularity of vaping with Hollywood actors such as Leonardo DiCaprio and Tom Hardy as well as superstar singer Katy Perry is thought to have influenced the surging popularity of the e-cigarettes. New Zealand already has some of the highest tobacco taxes in the world, and now some campaigners are calling for them to raised much further. But how effective would that be? Not very, say tobacco-control experts Marewa Glover and David Sweanor. What’s needed are solutions that empower smokers, not punish them further. The government’s new plan to allow a range of safer alternatives to smoking tobacco, including snus and heat-not-burn products, in addition to electronic cigarettes, shows that New Zealand is once again moving towards leading the world in dealing with the horrendous carnage caused by cigarette smoking. On Friday, July 28th, FDA Commissioner Dr. Scott Gottlieb announced the agency’s new vision for tobacco regulations. As stated, the central driving force behind the proposed shift in policy is the commitment to reduce the harms caused by combustible tobacco use. The most immediately significant part of Commissioner Gottlieb’s announcement is a proposal to extend the deadline for pre-market tobacco approval applications (PMTA) for newly-deemed tobacco products to August 8th, 2022. FDA will issue guidance on the matter soon. On Friday, July 28 the Food and Drug Administration (FDA) announced changes in their regulation of tobacco products, including electronic nicotine delivery systems (ENDS). FDA ascribed their Center for Tobacco Products the task of reconsidering “the aspects of the implementation of the final deeming rule.” Included in the reconsideration is an extension of four years for applications of ENDS products to be submitted, from November 8, 2018 to August 8, 2022.